Title insurance protects real property owners and lenders against any property loss or damage they might experience because of liens, encumbrances or defects in the title to the property. Each policy of title insurance is subject to specific terms, conditions and exclusions. Title insurance protects against future claims from defects. Defects are caused by another person claiming an ownership interest as well as improperly recorded documents, fraud, forgery, liens, encroachments, easements and other items that are specified in the preliminary title report which is issued prior to issuing a title insurance policy. Is it the same as my fire insurance? Insurance such as fire insurance, in addition to life, health, etc., protects against potential future events and is paid for in advance with monthly or annual premiums. 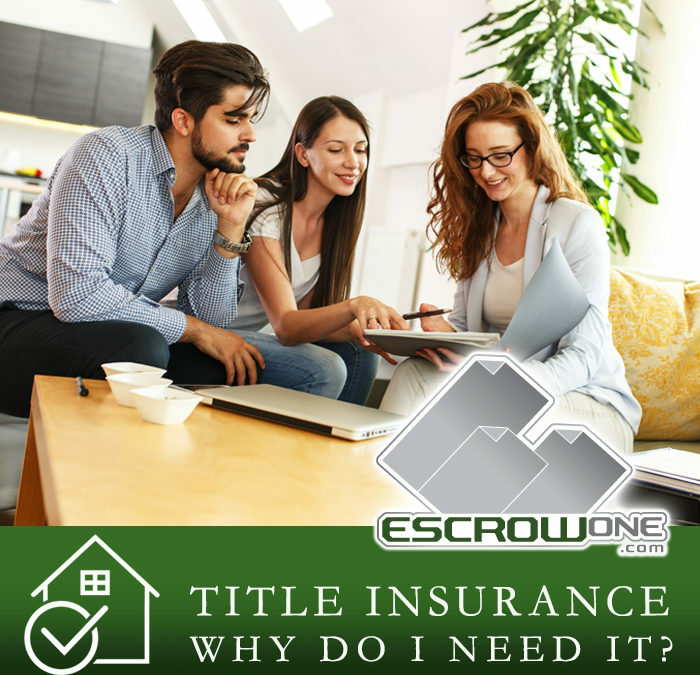 Whereas, title insurance policies insure up to the day escrow closes, against events that occurred in the past and to the close of the real estate property and the people who owned it, for a one-time premium paid at the close of the escrow. To purchase Title Insurance an Escrow must be opened. All lenders require title insurance to be insured against various possible title defects. In sales with no loan, it is still advantageous to all parties to purchase Title Insurance to protect and guarantee free and clear title. The buyer, seller and lender all benefit from issuance of title insurance. EscrowOne, Inc. is experienced in all types of escrows and is skilled to assist you in your next transaction. After the Escrow Officer or lender opens the title order, the Title Officer begins a title search. A Preliminary Report is issued to the customer and to EscrowOne for review and approval. All closing documents are recorded upon EscrowOne’s instruction. When recording has been confirmed, demands are paid, funds are disbursed, and with all items met and/or cleared the actual title insurance policy is created. The Owner’s Policy insures the new home owner/buyer, and a lender’s policy insures the priority of the lender’s security interest. Call EscrowOne, Inc. today with any questions in regard to Title Insurance Companies in your area and the Escrow process.